Munnar - Alleppey (Alappuzha) - Kumarakom Tour Package | Budget Tours to Munnar, Alleppey | Group Tours to Munnar. Arrive Cochin airport or railway station. 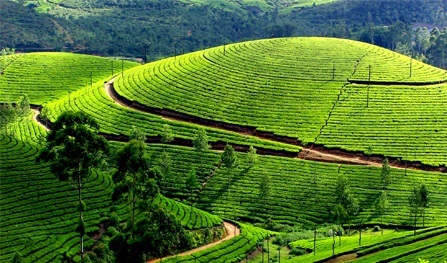 You will be met on arrival by our representative and will be driven 04hours to Munnar. One of the most popular hill stations in India,Located at 1600 Mts above sea level. Sprawling tea plantations, picture book towns, winding lanes, trekking and holiday facilities make Munnar a unique experience. Munnar is essentially a tea town. The tea plantations have now been taken over by the Tata Tea Company. The visitor is greeted with miles and miles of unending tea plantations on entry into Munnar. On arrival, check in to the hotel.